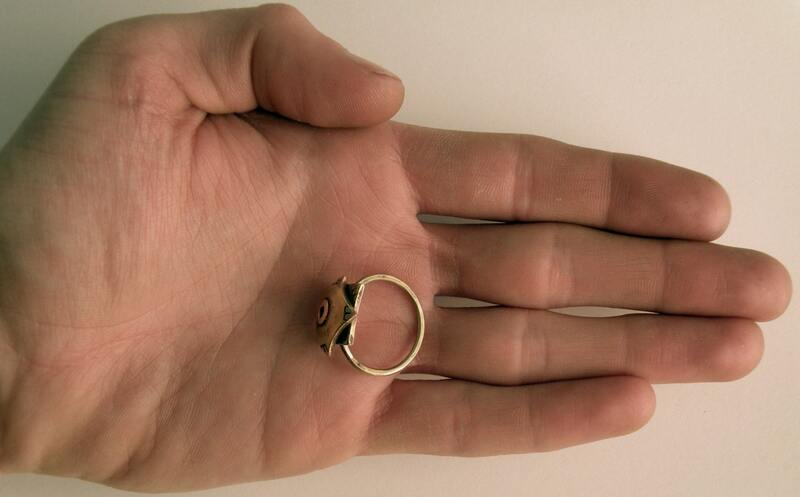 I lovingly hand craft each of these rings, one at a time. 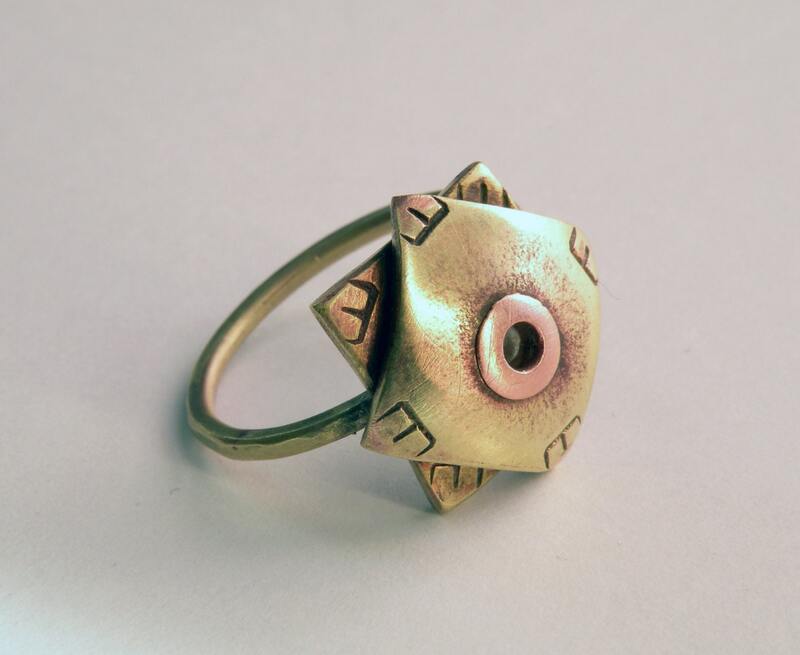 Brass components have been carefully cut, filed and soldered into a mysterious sun and affixed to a round hammered brass band. 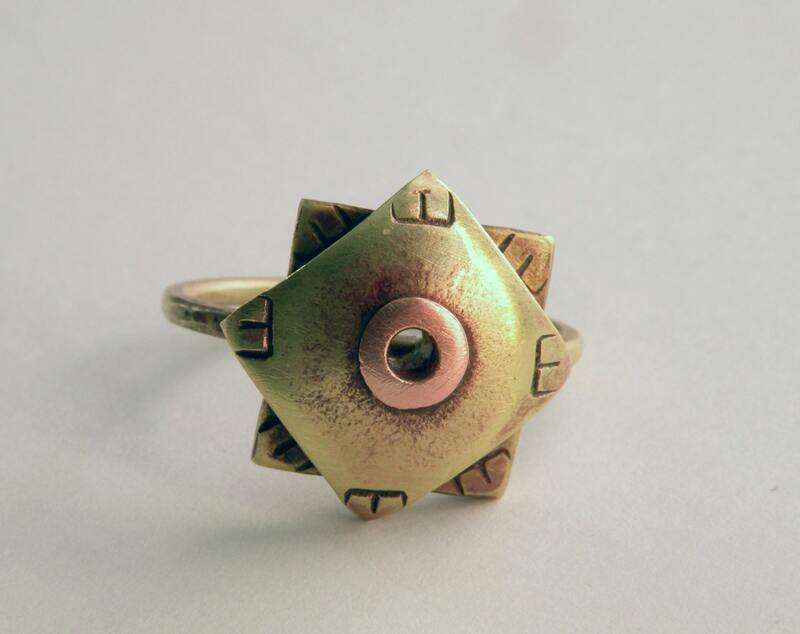 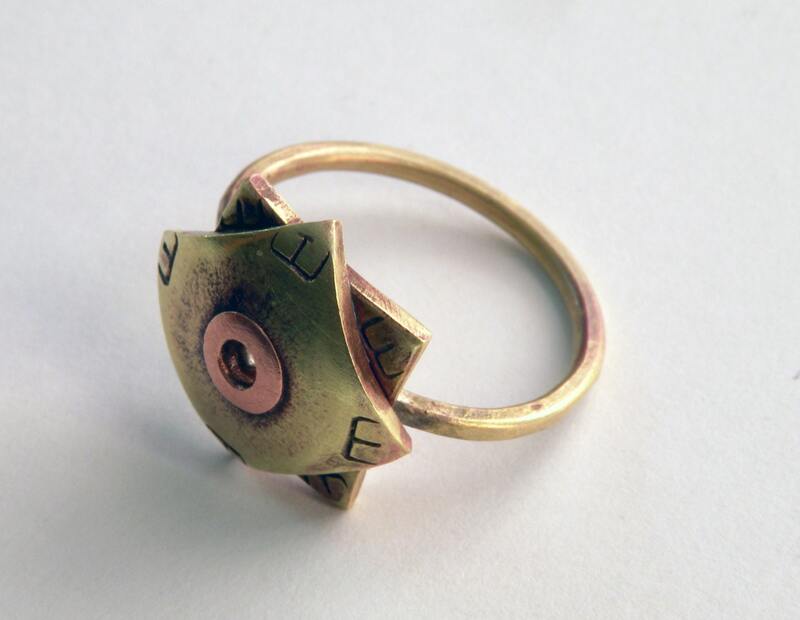 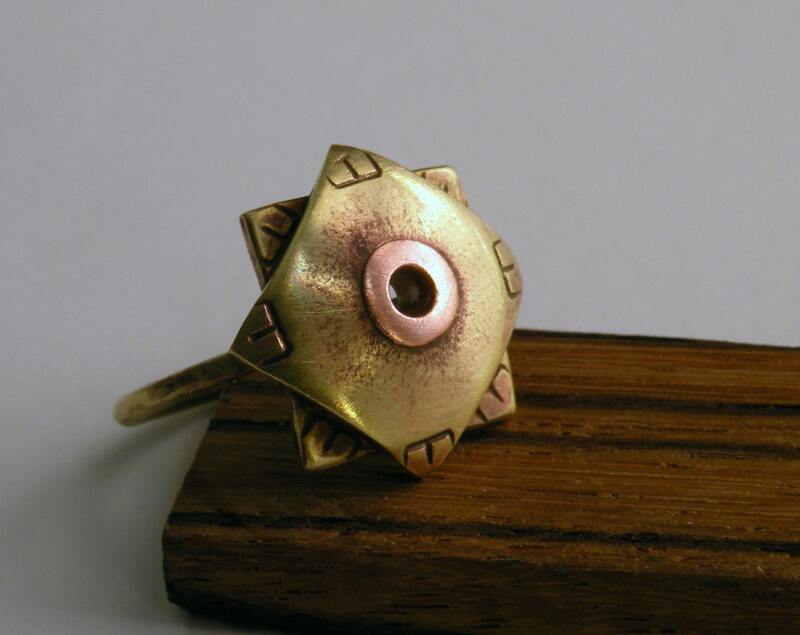 A copper rivet serves as the "eye"
Can be made to any ring size!